Most people are unaware of the source of allure the number 7 carries with it. The answer takes us back a few centuries to a time humanity did not know what's up there in the skies: the only thing it did know for certain was that most of the stars in the sky were stationary with the exception of the sun, our moon, Mercury, Venus, Mars, Jupiter and Saturn. Seven exceptions to an otherwise steady state. Which brings me to proudly announce the conclusion of this blog's seventh year. And you know what that means: it means we will be having a look at the year that passed in order to identify and recognize the best this blog had encountered and award them our coveted award, the R-Wards. This past year was dominated by two core trends. The first is the inroads video gaming has been making into our lives this past year. That trend is the direct result of Mass Effect’s influence on our household. It’s not just me who’s playing nowadays; my son is now a full time video gamer. But we still know our roots: just yesterday I’ve been playing the first Mass Effect game with my son watching for the first time in months. At first he was complaining about the abundance of dialog, but later - through the questions he was asking me - it became clear this game has had much more of an impression on him than any other. As I said before, I make no apologies for the invasion video gaming has made into our lives: nowadays, video games are the best story delivery mechanism around. You will notice Mass Effect being an ongoing theme with this year’s R-Wards. The second trend is the one that has been going on for several years now, the ongoing digitization/Internetization of our media consumption. This year Spotify has effectively been our only source of music, and it was there for us all the time. Then there are ABC’s iView and SBS On Demand, the trusty old Kindle, Steam and even PSN for gaming. I can go on, but my point is that there is a gaping hole in Australia’s media consumption that is crying out for a service like Netflix to come and fill in. It is only the dumb nature of the copyright industry that prevents us, together with all other Aussies, from truly stepping into the 21st century. From venturing into the era where all media consumption can be had at the user's preferred time, place and means. I hope to be able to report this problem has been remedied at next year’s R-Wards. Last year’s main trend, that of discontent with the generic crop of films Hollywood pushes down my throat, continued in force this year. Couple that with us having less and less spare time – or rather, us not having enough energy left during our spare time – and you can see why we not only watched fewer films this year, we were even less ecstatic with what we saw. So big is the problem that there is no film I got to watch this past year for the first time which deserves to be awarded; which happens to be what this category is all about. However, there is nothing preventing me from twisting my own categories around. Thus this year I am going to grant the Best Film R-Ward to a movie I have seen several times before, but at the same time failed to acknowledge just how good it is till I watched it again this year. I can therefore argue that in certain ways, I watched this movie for the first time this year. 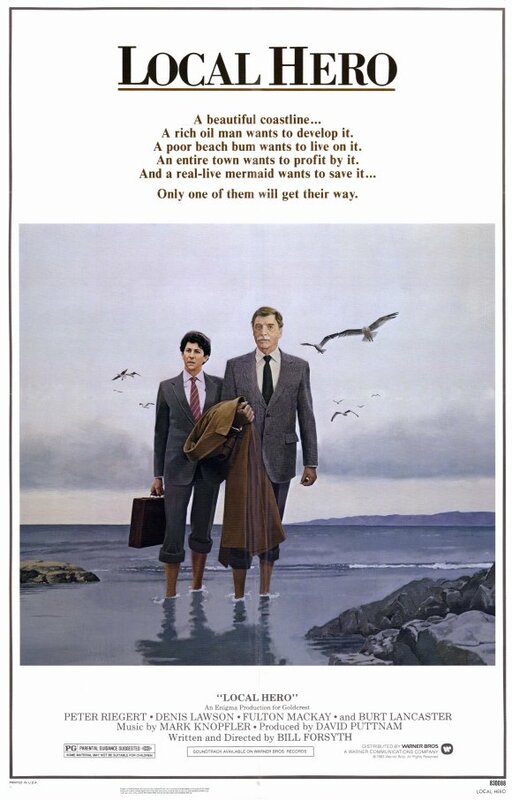 The movie in question is Local Hero, a small time British production from the eighties. It may be small, but Local Hero has a lot standing for it: it’s got a heart, it stands for something worthwhile, it has more character than a hundred Hollywood movies, and it’s got one of the best movie soundtracks ever conceived. Thirty years later, Local Hero rocks. My reading has been severely affected by the ever wider proliferation of Internet delivery gadgets into my life. I suspect this will only get worse once I get my own little tablet to effectively carry with me all the time; books will have a hard time competing with the Internet and the gaming offered by such a platform. They would also be forced to timeshare more often with my comics reading. Regardless, I still definitely derive heaps of pleasure from books and consider myself lucky to always have an effectively infinitely long waiting list of books to read. Of the books that won the draw and got to be read this year, three hit home in particular. Economix, the non fiction book giving economics the comics treatment, proved to be the educational experience of the year; it’s quite an eye opener (other than being a very entertaining read). Then there was The Palace Job, a fantasy tale told by one of Mass Effects leading writers. Other than making me laugh, I thoroughly enjoyed The Palace Job’s message of political awareness and involvement. In the year where we received confirmation of Big Brother’s existence, such a message has never been more important: it points at the only way to make our countries governing us. One book towers over the rest of them, though: Mortality by Christopher Hitchens is probably the best written book, language wise, I have ever read. Not only that, Mortality is one of the most relevant books one could ever read by virtue of the fact its subject matter, personal death, is the one thing that is guaranteed to happen to us all. Candidly dealing with subject matter us Westerners like to ignore, Mortality opened up a whole new world for me; coincidentally, it coincided with family events that made it even more relevant. 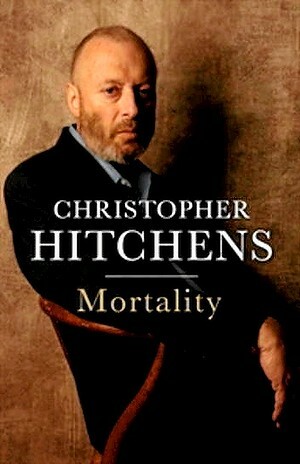 In my view, Christopher Hitchens saved his best for last. He will be sorely missed. The full invasion of Spotify into my life – it’s there on every platform and it’s eternally ready in my pocket – allowed me to significantly enhance my exposure to previously unexplored musical pastures. On a separate note, it also means that most of my quality time with music is now spent at work with my headphones; something to think about when prioritizing my hi-fi purchases. If I can stop talking hardware for a minute then I will say that, musically, I have been listening to all sorts of genres. Classic, jazz, rock, electronic, alternative, soundtracks, and goddess knows what else. However, despite all the variety I think I can safely declare the year that passed to be the year of the female vocalist. And of those, Lana Del Rey was by far the most dominant. Her album, Born to Die (extended through The Paradise Edition) was played so often I started using its tracks for headphone reviews. Even though her songs are not optimally recorded, I grew so familiar with the sounds that comparisons were made stupidly easy. By now I grew a bit tired of Del Rey’s style. I was also greatly disappointed to see how the album’s rich vocals were only poorly reproduced at a live performance; not to mention the tragic-nostalgic image Del Rey Co have established in order to sell her. All of the above, however, do not detract from the fact her music was by my side oh so very often this year. Of the lot, there can be no doubt I like Video Games the best. I mean, hey, video games! It shouldn’t come as a surprise that the void left by diminishing movie watching was mostly filled by TV watching. The more interesting thing about our TV watching is how we did it: while we would follow running series episode by episode, it has become clear our preferred way of consuming TV material is series by series. Hopefully, the contents industry will pay attention to this trend and adjust accordingly (I do not expect much, though). My choice for best series, Chuck, should come as no surprise to readers of my blogs. We jumped on the Chuck bandwagon about a year after this five seasons series ended but we couldn’t let go until we watched it all (and rewatched some favourite episodes). Indeed, the main question I find myself asking is how did Chuck, a generally unremarkable TV series with glaring faults, mostly to do with its female treatment, strike such a vocal chord with me? I cannot offer conclusive explanations. What I can say is that Chuck arrived at the right time, the peak of my Mass Effect fandom, and between its cast and its themes it resonated high along those waves. Other than that, Chuck is easy yet entertaining to watch, a good cure for daily accumulated fatigue; on the other hand, its crew of numerous likable characters, including the minor ones, grew on me to such a level I was willing to turn a blind eye to stupidly high heels and conservative views on matters of gender roles. Last year was all about me encountering what I consider to be the best video game ever. In contrast, this year was all about me not being able to let go of that game. And not for lack of trying. It’s been decades since gaming played such a dominant part in my life, and I literally tried it all. I tried numerous new releases and old ones, I tried numerous platforms (PS3, Wii, Wii U, iOS and PC), and I tried numerous genres. My son was finally taking his own steps in the gaming world, no doubt the result of his exposure to his father’s favourite game. He takes iPad gaming for granted by now, and we all share many hours together there, but by far his biggest love this year has been Skylanders. It wasn’t just him, we all took part, as evidence by the 36 (!) Skylanders figures in our collection as I type. I even bought my own figure so that I could “raise” it without my son’s “help”; my wife, on her side, plays Skylanders Lost Islands on the iPad daily. Yet, when all is said and done, there is only one world I would like to come back to. 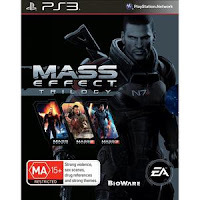 Whether it’s the multiplayer mode for immediate gratification or the single player campaign for trying out new plot twists with the aid of new NPC partners, the Mass Effect Trilogy is proving to be pinnacle of this generation of video games. At least when measured by console cycles. This year saw me venturing further into its world, either through the first Mass Effect, an undoubtedly aged game by today’s standards yet still a game boasting above standards writing. More interestingly, I enjoyed the weekly weekend multiplayer challenges while they lasted (sadly, BioWare stopped them on Mass Effect 3’s anniversary). Then I started sampling DLCs, with the last one – Citadel – being by far the best Mass Effect "level" ever and an obvious thank you gesture from BioWare to its fans. It's so good it is even playing an active role in the redesign of our very real kitchen. Yes, I am saying this: we borrowed ideas for our kitchen from Commander Shepard's kitchen on the Citadel. I really do hope a game would come along to dethrone Mass Effect, because any game that can achieve that has to be a true pinnacle of creation. This year was all about gaming, but if I stop to ask the question of who it was that engraved gaming so deeply into the fabric of our lives the answer would have to be ABC’s Good Game. Our son has been watching this program, mostly through its child friendly incarnation, Good Game: Spawn Point, since he was two. Our PVR is full of old episodes (copyright disclaimer: we watch them once and delete them, of course!). And most importantly, in the context of this post, it was a certain Good Game review from last year where both reviewers gave the game 10 out of 10 that got me to order Mass Effect 3. The way I see it, the beauty and appeal of Good Game lies in its crew. 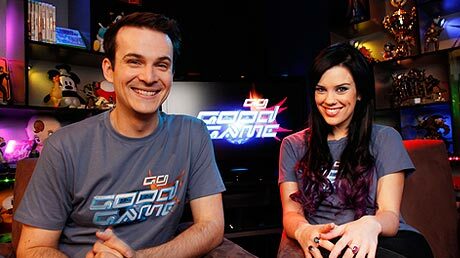 First we have hosts Bajo and Hex (or rather, Steven O'Donnel and Stephanie Bendixsen) and the obvious chemistry between them. From following them on Twitter I can attest they seem generally charming people outside the screen, too. So this award goes to you, Good Game, Bajo and Hex. For changing the way we live and making proper gamers out of our entire family.